The purpose of these positions is to provide comprehensive screening, assessment, and individual, family and group clinical services. The screening function of these positions requires the intake workers to gather, analyse and formulate information from a variety of sources to determine the need for mental health services, assist in multi disciplinary case review and clinical planning. The clinical service function requires the therapists to provide mental health assessment and treatment to children, adolescents and their family in a primarily group therapy driven model for clients in crisis or in longer term clinical need for a broad range of mental health problems and conditions. These functions require extensive knowledge of child development, clinical conditions and assessment methods, family functioning and best practices in child and adolescent mental health. Master of Social Work supplemented with considerable experience. 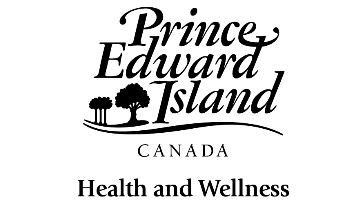 Must be registered, or eligible for registration, with the PEI Social Work Registration Board. Must have experience in case management practices and demonstrated ability to work in a consultative and collaborative manner and within a multi-disciplinary team. Must have demonstrated ability to provide best practice treatment individually and in group settings for child and youth and their families with mental health and substance use issues. Must have demonstrated ability to stabilize crisis situations, and effectively assist families. Must have demonstrated assessment and interviewing skills, particularly in child development and family functioning. Must have excellent organizational skills, and highly motivated. Must be able to access reliable transportation. Must have knowledge of Mental Health Act, psychiatric disorders, medications and Mental Health Services. The successful applicant must provide a satisfactory criminal records check prior to beginning employment.